Last Thursday, January 6, the State Bar of Arizona hosted its fifth annual Law School for Legislators. I attended for the first time, and it was an insightful way to kick off a new legislative session, especially for the freshmen who are beginning their first term. Held every two years at the House of Representatives, the school covers a variety of topics, including federal–state relations, how judges decide cases, and how the path can always be made smoother between branches of government. Presenting were State Bar President Alan Bayham Jr. Bar CEO/ED John Phelps, Arizona Supreme Court Chief Justice Rebecca White Berch, and lawyer (and former newsman) Michael Grant. Keeping speakers on track was the Bar’s Chief Communications Officer, Rick DeBruhl. And Kathleen Lundgren, the Bar’s longtime Government Relations guru, put the event together. 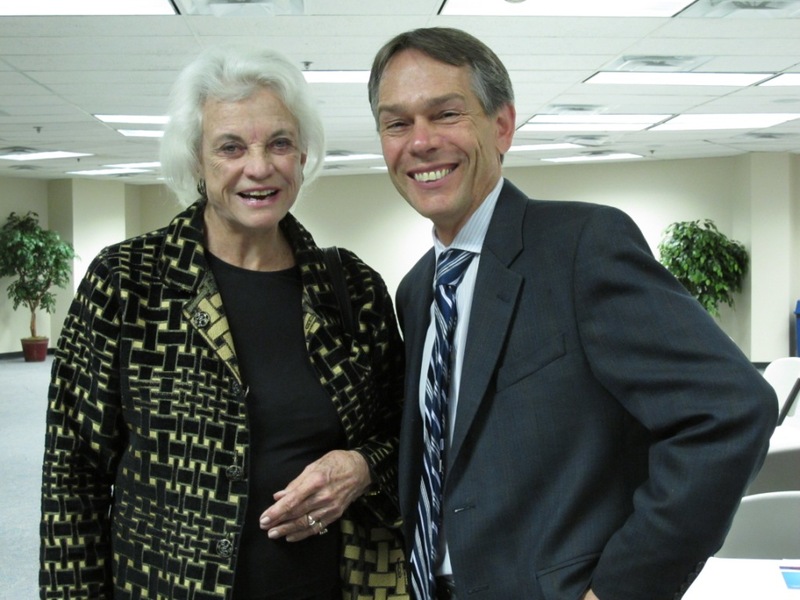 At the Court, attendees enjoyed lunch while keynote speaker Sandra Day O’Connor addressed them. Everyone recalls O’Connor as an Associate Justice on the U.S. Supreme Court. But she reminded those gathered that she had been a legislator herself. Thus, she was able to sympathize with the lawmakers and the hard road that lay ahead of them in regard to the budget. 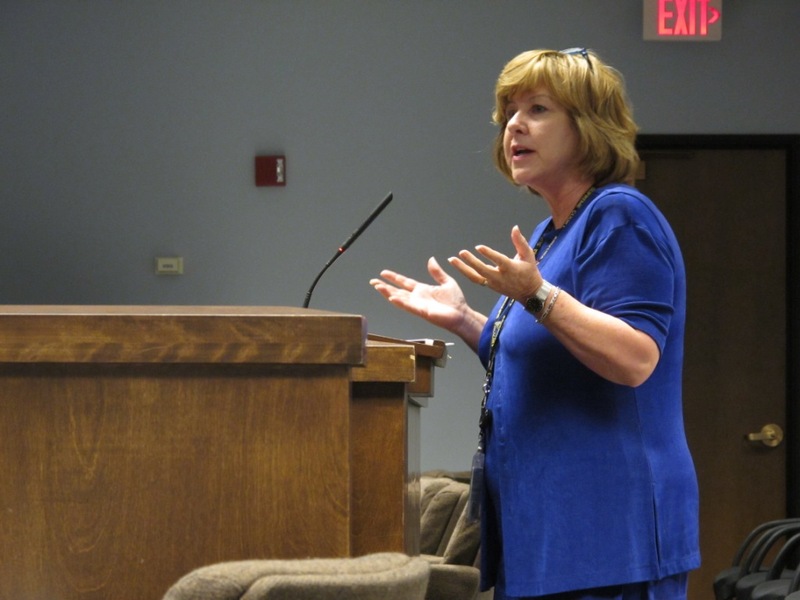 In that vein, she told them that she was surprised to see that the state’s restrooms were closed for business on the freeways throughout Arizona. She told the legislators that she did not envy them the job of balancing a budget that is reported to be more than $1 billion out of whack. She added her memory of the many affiliated tasks that lawmakers must take up. O’Connor ended her remarks by talking about her appointment to the Court by President Ronald Reagan. “It was a shock” when Reagan telephoned her, she said, and not an entirely welcome one. Though gratified to be selected, she did not look forward to relocating her family back east. 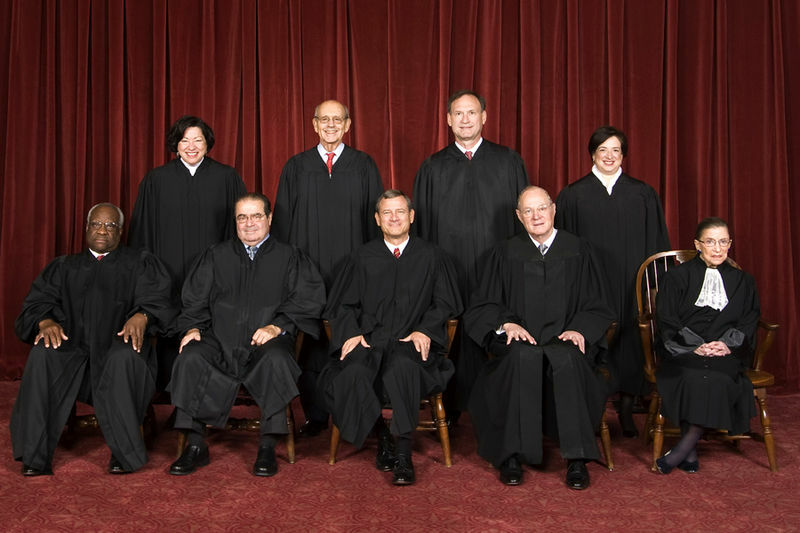 But when she recently attended oral argument at the Court as a spectator, she found reason to be pleased with the number of women Justices. More photos from the event are here on the Arizona Attorney Magazine Facebook page.